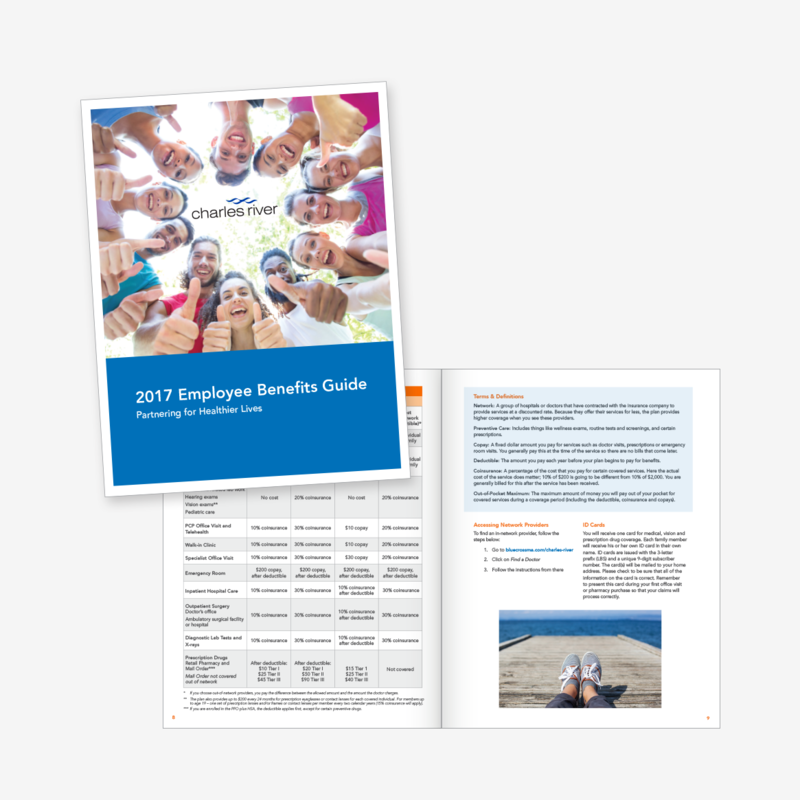 Communicate the benefits changes and enhancements in 2019 for existing employees while updating a benefits guide that can be used throughout the year for both new hires and as a reference tool for current employees. 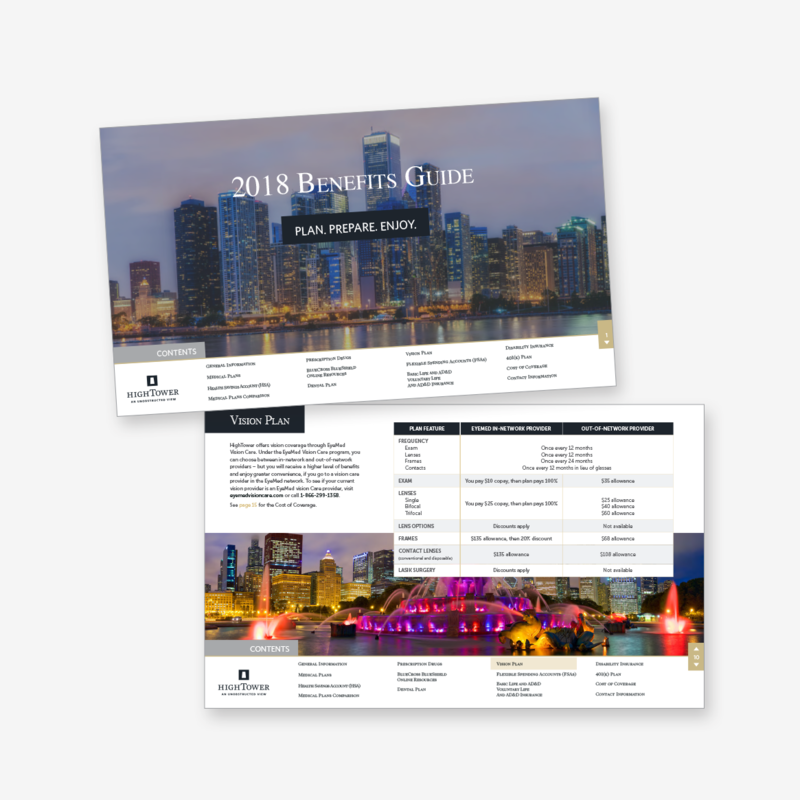 Update the benefits guide with 2019 benefits programs, rates, etc. 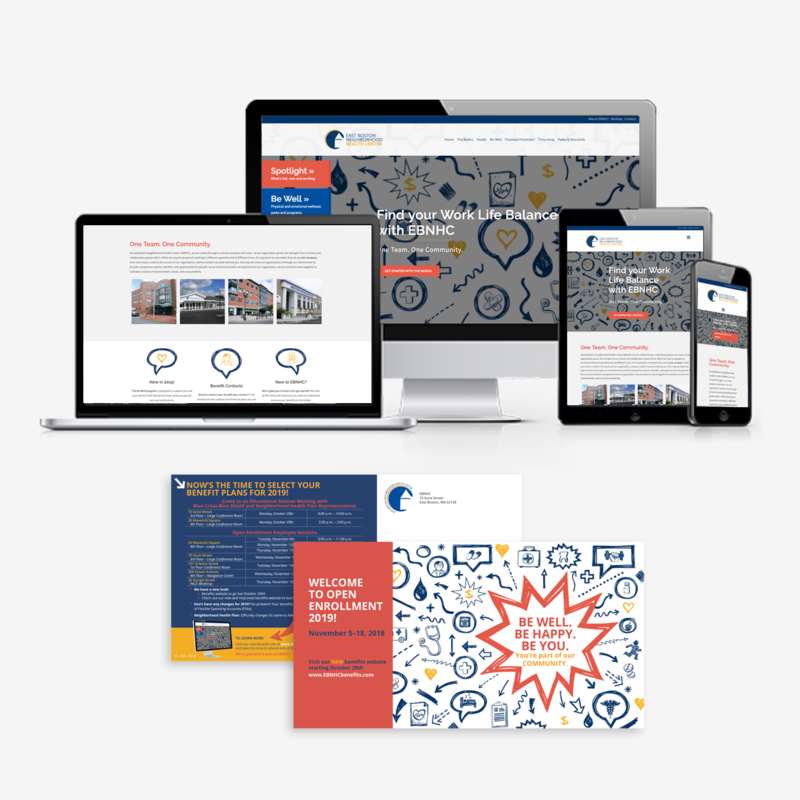 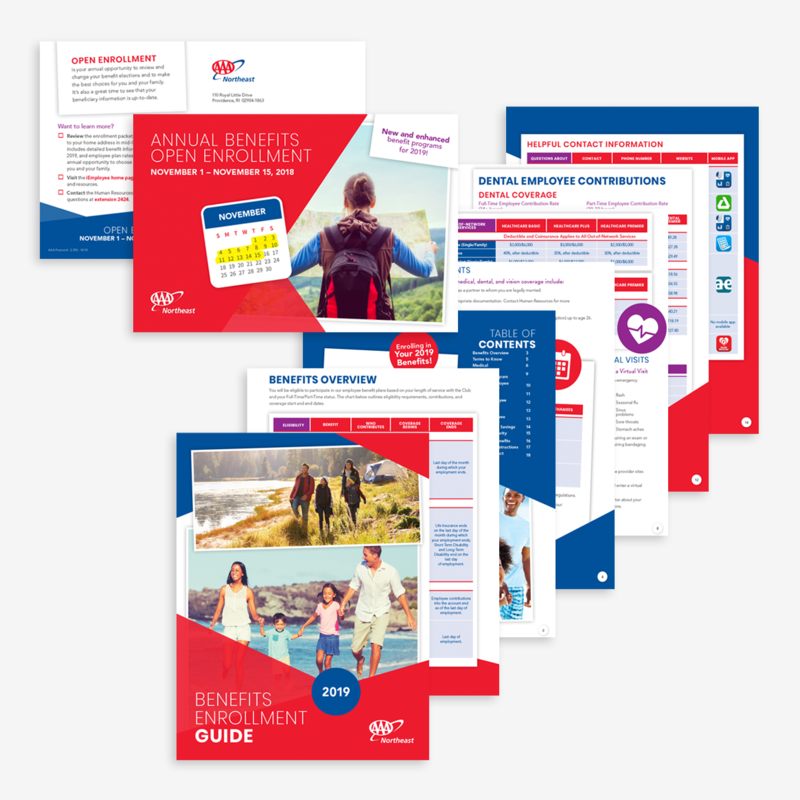 and develop a separate trifold Open Enrollment communications piece that spells out “What’s New for 2019”, the enhancements and changes, new benefit programs, steps for enrolling. 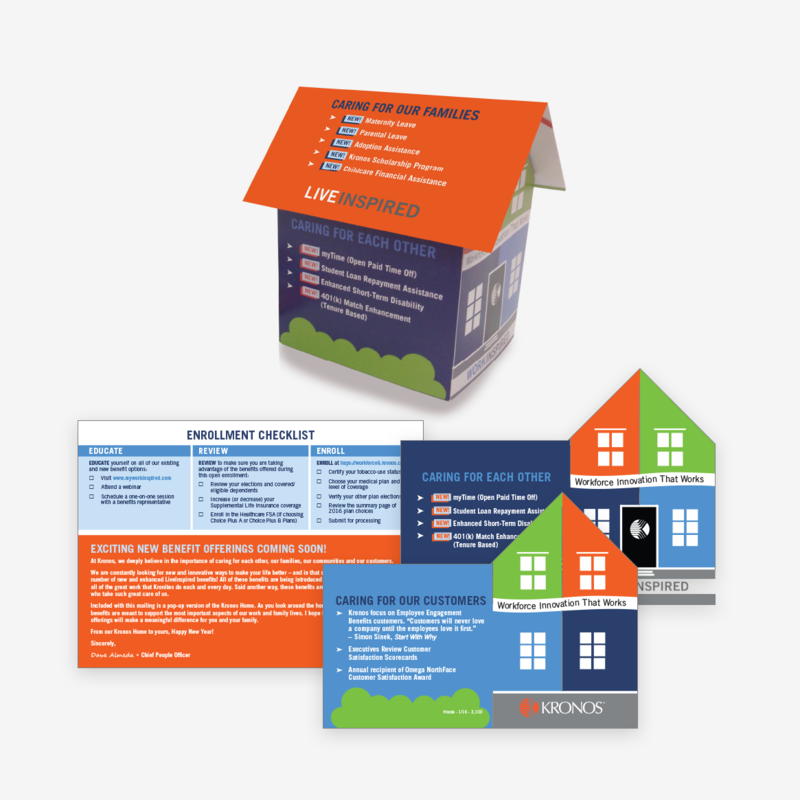 Create and mail a pre-enrollment postcard to employees communicating 2019 Open Enrollment period. 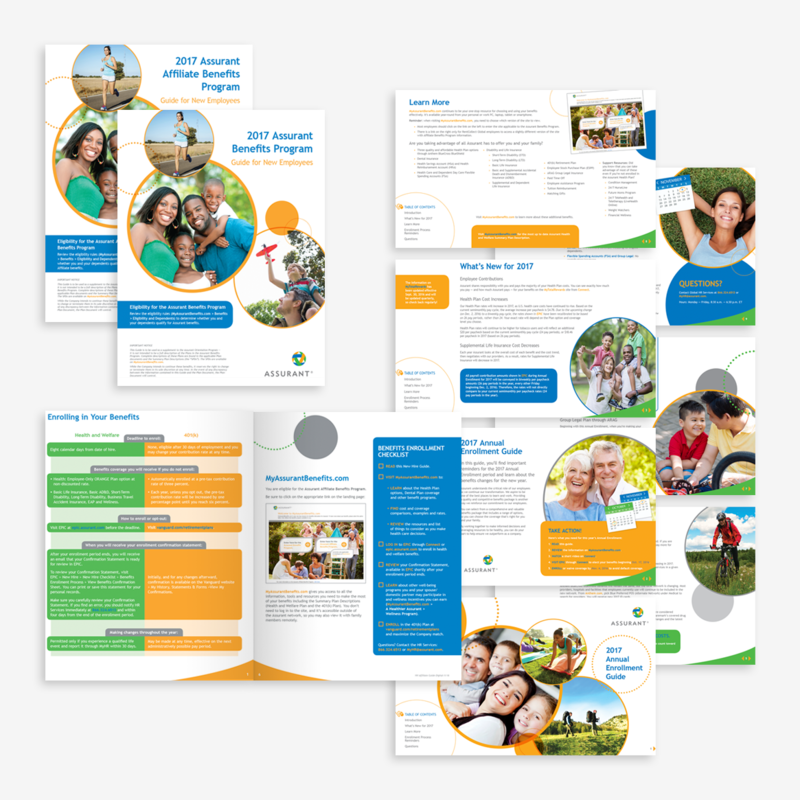 Positive feedback on the overall design of the components and clarity of the information contained in the benefits guide.